The Regency Square Conservation Area contains Norfolk, Clarence, Russell, Bedford and Regency Squares. Much of it and many other fine Regency set-pieces around Brighton may be attributed to one particular family – the Wilds. Amon Wilds (1762-1833) along with Charles Augustin Busby (1788-1834) were responsible for two of England’s finest Regency compositions – Lewes Crescent and Brunswick Square. Amon Wilds’ son, Amon Henry Wilds (1784-1857), designed Montpelier, Hanover and Park Crescents and many more of the city’s finest buildings. In the Regency Square area alone, A. H. Wilds built Western Terrace (including the Western Pavilion and Gothic House), Oriental Place, much of Russell Square and most of the Sillwoods. 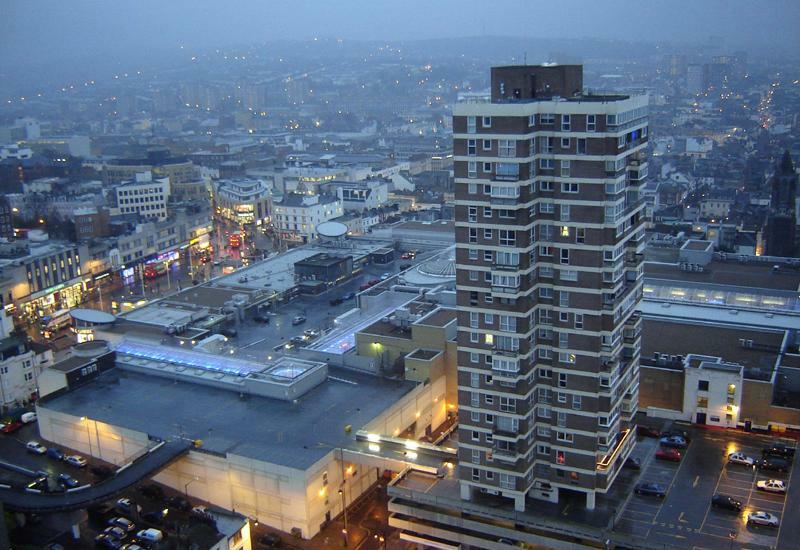 He is also thought to have designed Regency Square with his father though this cannot be confirmed. Grade II* Listed Oriental Place was laid out in1827-8 as the grand entrance to an ambitious tropical greenhouse project, known as the Anthaeum, for the botanist, Henry Philips. 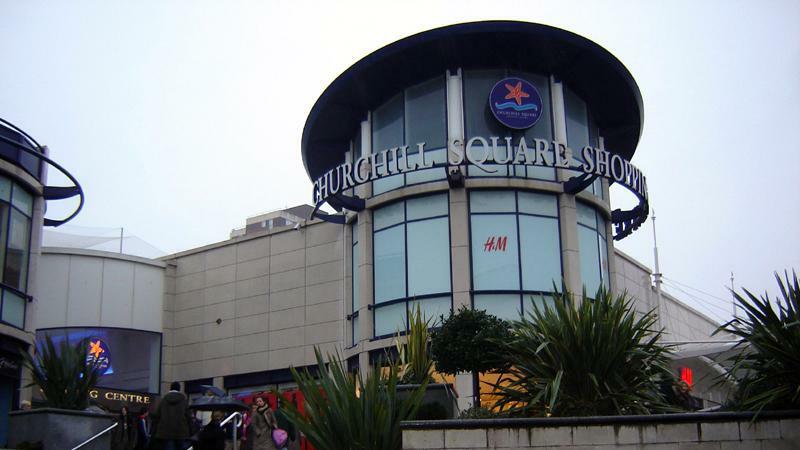 Funding stopped the realisation of this scheme (though it was later built on what is now Palmeira Square but tragically collapsed a day before opening). 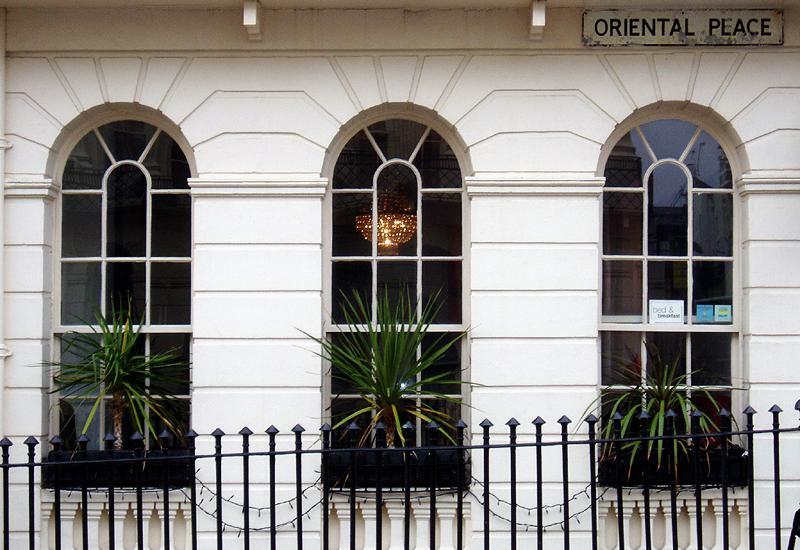 Oriental Place is today painted yellow and features A. H. Wilds’ trademark ‘Ammonite’ capitals (a pun on his name) and semi-circular shell motifs above the first floor windows. The unfinished scheme was purchased by Sir David Scott who then commissioned A. H. Wilds to build Sillwood Place as the continuation of Oriental Place. The terrace on the western side was replaced by the horrific Osprey House in 1969. The pretty eastern terrace, with fine Corinthian pilasters, survives. The Sillwood area, most of which is Grade II Listed, is named after Sir David’s family estate, Sillwood Park, in Berkshire. Sillwood House faces the sea from an excellent plot at the very top of Sillwood Place. This fine detached mansion, also by A. H. Wilds, was Sir David’s own residence. The three-storey building (with attics and basement) has iron balconies and a semi-circular portico facing Montpelier Road. No. 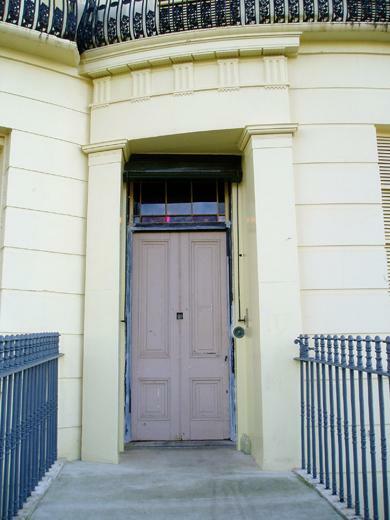 8A Western Terrace is thought to have been its coaching lodge. In 1880, it became the Sillwood Hall Hotel and was later purchased by the nearby Debenhams (in Gothic House) and was used as a warehouse. It was converted into flats in 1989. We will never again see such a prolific period of building but should be thankful that the country’s finest architects chose Brighton as the town on which to test their experimental and grand compositions. I then learnt two things. The first was that Brunswick Square has very high ceilings. The second was that Regency facades are great for hiding away some absolutely disgraceful properties. His landlord, I soon discovered, was running a commercial operation from the basement below that was attracting a serious number of flies. I hadn’t quite realised this until I looked up and saw that the whole ceiling, in this residential property, was absolutely covered in flies. I was nearly sick. Now, I should point out that No. 13 is nothing like this. In fact, No. 13 is a museum, albeit unfinished. Local conservation hero, Nick Tyson, and his Brunswick Town Charitable Trust team have been working away for a fair few years now at turning it back into an accurately decorated Regency mansion. I have taken many a trip to see how the work is progressing, and, although far from complete, it is utterly breathtaking. The original deep mauve of the dining room was discovered under twenty or so layers of paint and in Regency times, this colour was said to aid digestion. Every room tells a different story but rather than describe everything, I recommend that you have a look yourself one day. The project became even more interesting about ten years back, when the Trust was able to purchase the almost original basement of No. 10 that was once the servants’ quarters, but more of that another time. 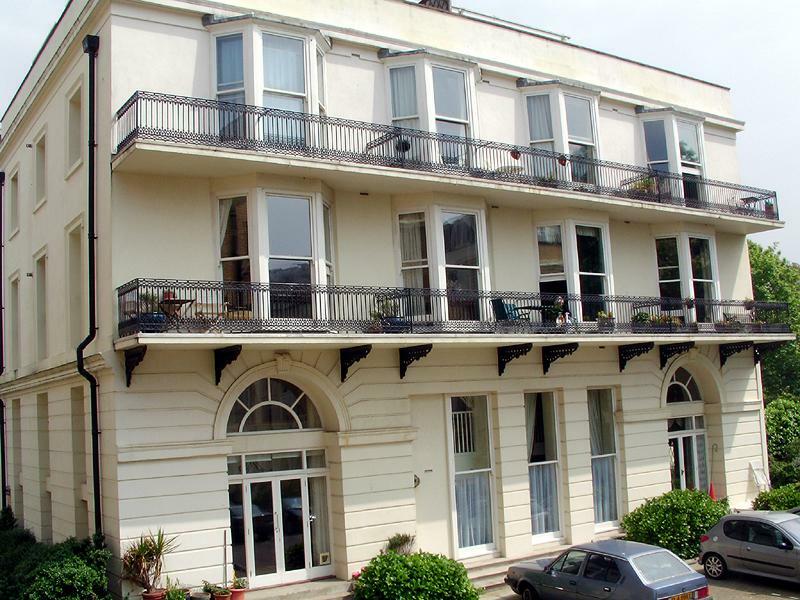 As many of you will already know, Brunswick Square is the Grade I Listed creation of architect Charles Augustin Busby, who was also responsible for Sussex Square and Lewes Crescent in Kemp Town. The square was built in the 1820s and at the time was surrounded by fields. Adelaide Crescent and Palmeira Square were built next to the west, followed by First, Second, Grand, Third and Fourth Avenues. To arrange tours, make donations, become a volunteer or look for more information generally, check out – www.rth.org.uk – fly spray not required. Fortunately, my good friend, Rick works in Holland and as a result, I’ve visited Amsterdam several times over the last two years. During my latest trip, I stayed twelve miles to the west, in Haarlem. Amsterdam was founded as a fishing village around the 13th century and got its name from the dam that was built on the river Amstel. From the 14th century trade flourished. The 16th century saw the reinstatement of religious freedom after the Dutch war of independence resulting in the settlement of many wealthy Jewish families. During the 17th century, the Dutch built an empire that stretched as far away as Indonesia and South Africa. Wars against England and France during the 18th and 19th centuries took their toll on the city and trade was lost to London though the Industrial Revolution did help to revive the city’s industries though never to previous heights. 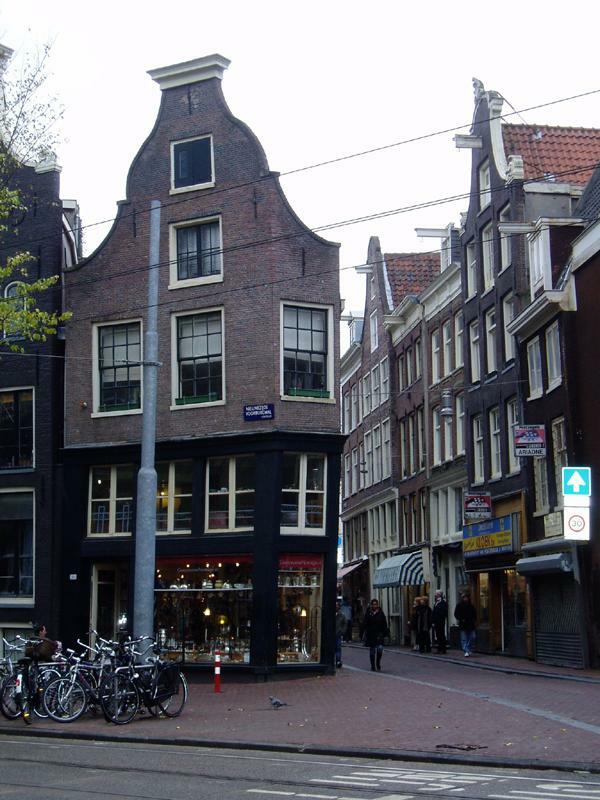 Many of Amsterdam’s characteristic townhouses date back to the 17th century. The thin, tall, red-brick and gabled properties line the canals and were originally built for merchants. The richly ornamented gable tops come in many different styles such as stepped, neck, and bell-shaped. Anne Frank’s House is one such building and is now a museum that tells the horrific story of the Frank family going into hiding and the deportation of over 100,000 Jews from Amsterdam during the Second World War which almost completely wiped out the Jewish community. The Royal Palace in the Dutch Classic style is probably Amsterdam’s most imposing building and was inspired by the public buildings of Rome. Construction began in 1648 and finished in 1665 to the designs of Jacob van Campen though the internal decoration continued well into the 18th century. It boasts large sculptured marble pediments and bronze statues. A yellowish sandstone from Germany was used for the entire building which has darkened to a colour similar to that of the grand buildings of, say, Glasgow. Every Dutch child is taught how 13,659 wooden poles were used for the foundations. Over the years, Amsterdam has clearly evolved to cater for the wants and needs of its visitors. Brighton, on the other hand, is currently torn between the romantic (dirty) weekend and the undesirable stag night. 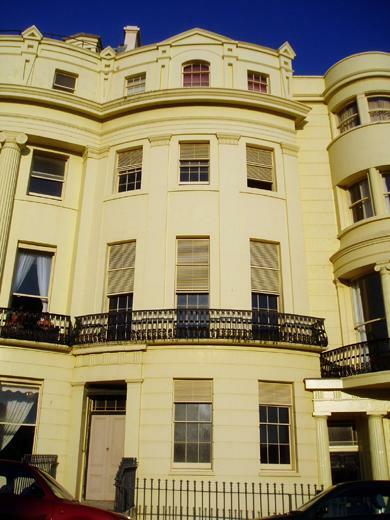 As a destination for lovers, Brighton has been successful for nearly 250 years. What would the 18th century gentry have made of West Street on a Saturday night, I wonder? What have Chris Eubank and the Prince Regent got in common? Well apart from dressing like dandies, they both have a bus named in their honour. 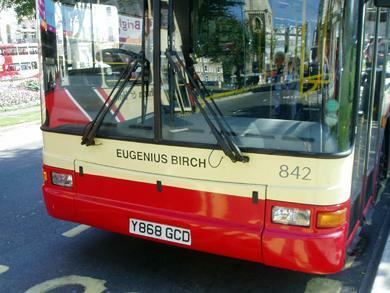 Paul Williams of Brighton & Hove Bus and Coach Company Ltd came up with the idea of naming their buses in 1999. Initially, the plan was to dedicate each bus to a famous local landmark but that soon changed to naming each one after someone who has made a considerable contribution to the area who is no longer alive. The scheme has since been extended to include the living, a dog (not living), a band (the Who), a football team (guess which) and many others. Many will recognise the familiar names on buses such as Norman Cook, Des Lynam, Sir Winston Churchill and Prince Philip. Not as many will have heard of David Mocatta, the architect of Brighton Station or Eugenius Birch, the designer of the West Pier and the Aquarium. Schemes like this are great for raising awareness of the great historic characters behind our city. Those listed below, some not so well-known, are all commemorated on buses. ‘Thomas Kemp’ was the landowner and Member of Parliament behind the Kemp Town development. ‘Amon Wilds’ and ‘Charles Busby’ built much of Kemp Town along with Brunswick Town in what is now Hove. ‘Thomas Attree’ was the owner of Queen’s Park and a beautiful villa close by that has tragically been destroyed. ‘Sir Charles Barry’ was the architect of this villa along with St. Peter’s Church, St. Andrew’s Church, the Royal Sussex County Hospital and the Houses of Parliament, (where I now work). The Royal Pavilion was of course built for the ‘Prince Regent’ and ‘Caroline of Brunswick’. ‘William IV’ and ‘Queen Adelaide’ also enjoyed its luxury. ‘John Nash’ was the architect of the Pavilion and ‘Dr Clifford Musgrave’ was the building’s director after the Second World War. ‘Sir Samuel Brown’ was the designer of the famous Chain Pier which was unfortunately destroyed by a storm in 1896. ‘Magnus Volk’ was an inventor and the man behind Volk’s Railway which runs past the spot in Kemp Town where the Chain Pier once connected to land. ‘Baron Goldsmid’, ‘Sir Charles Thomas-Stanford’, ‘Sir Richard Sackville’, ‘John Vallance’ and ‘Sir Herbert Carden’ were all wealthy landowners who have made considerable contributions to the city’s history. I was considering becoming a train-spotter but perhaps bus-spotting is more my thing!